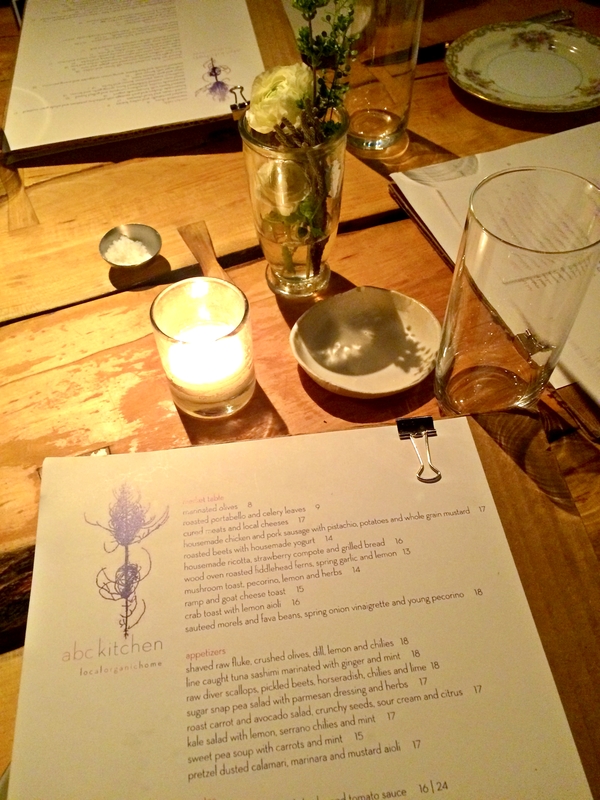 I have been wanting to try ABC Kitchen for way too long, so I was thrilled I was able to get a reservation for 6 pm on a Friday with my parents and bf 🙂 I absolutely love the decor of this restaurant- simplistic, clean and rustic. 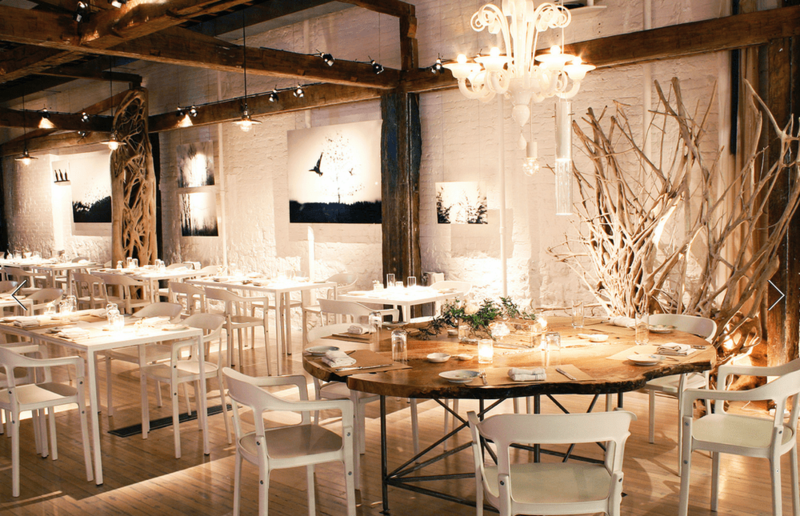 The atmosphere is so chic, yet homey. It’s bright, spacious and simplistic- just lovely! I would love to have the interior designer of this place decorate my future home. Oh and they were playing like top 40 pop/ hip hop hits which I thought was amazing. 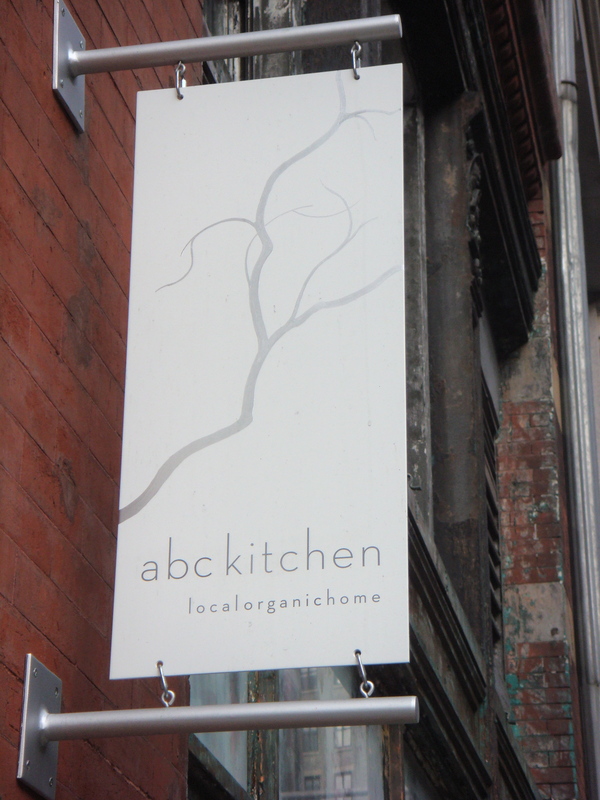 The food was fantastic and we had an amazing overall experience all at this restaurant! 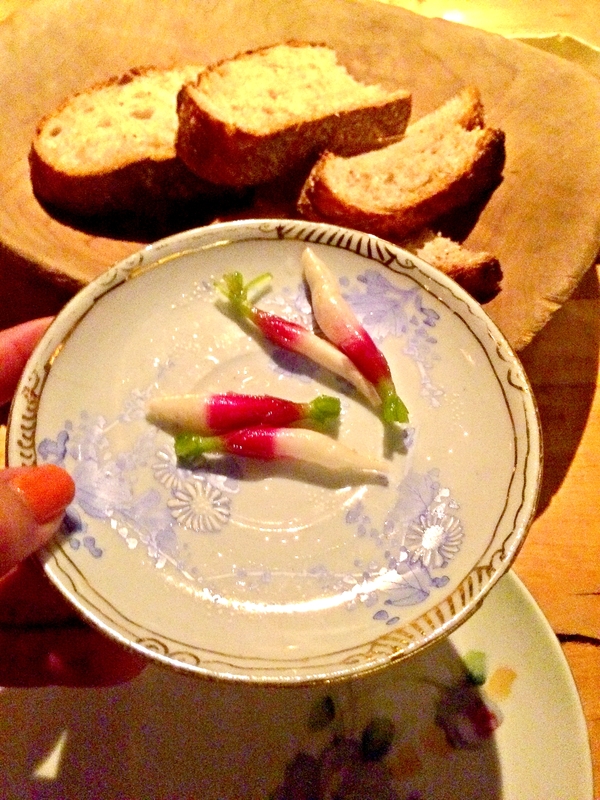 The first thing brought to our table were these adorable little radish bites! I have no idea why, but I loved how adorable and crunchy they were! And we also were served the crusty, fresh baguette and butter. I love bread and butter. Our actual meal started off with the delicious crab toast with lemon aioli and the salmon tartare toast with creme fraiche and sesame garlic crumbs. Both the crab and salmon were extremely fresh and served perfectly on top of crusty, crunchy sourdough toasts. The salmon was buttery and soft, while the lump crab also had a buttery, light taste that contrasted well with the refreshing dill and lemon flavors. Two amazing appetizers! My main course was the crispy pork confit with smoked bacon cherry marmalade and braised turnips. WHEW. It was phenomenal. That smoked bacon marmalade was ridiccccccc. The chunks of smoked thick cut bacon mixed in the gooey thick, sweet marmalade were delicious. 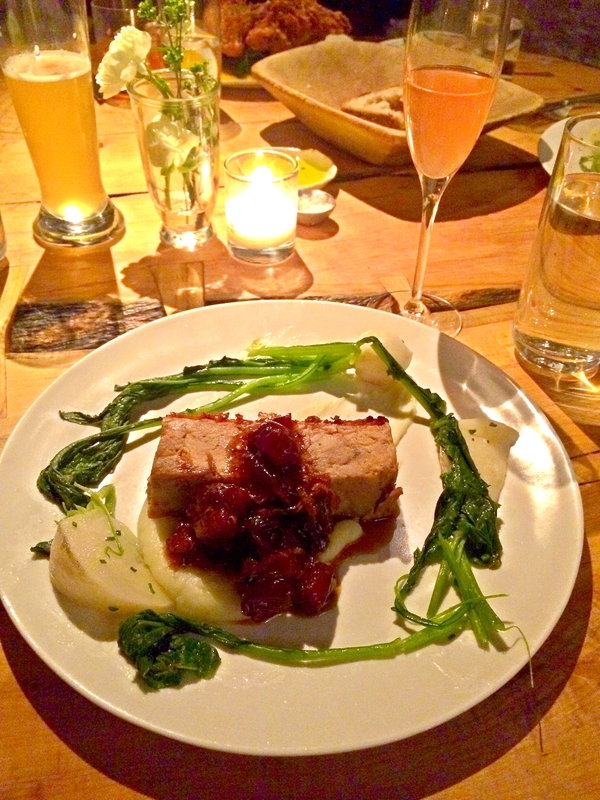 The pork itself was melt-in-your-mouth good and the outer fatty crunch of the confit was amazing. I could have eaten like 10 of those crunchy skins- like a bag of potato chips. Underneath the hunk of tasty meat was a smooth, balanced, creamy potato puree. Really balanced out the dish. And decorating my plate beautifully were the turnips! Their delicate, sweet crunch really contrasted well with all the powerful, bold flavors of the bacon and pork. The whole dish was perfect! We also shared what may have been the tastiest pizza I’ve ever had. 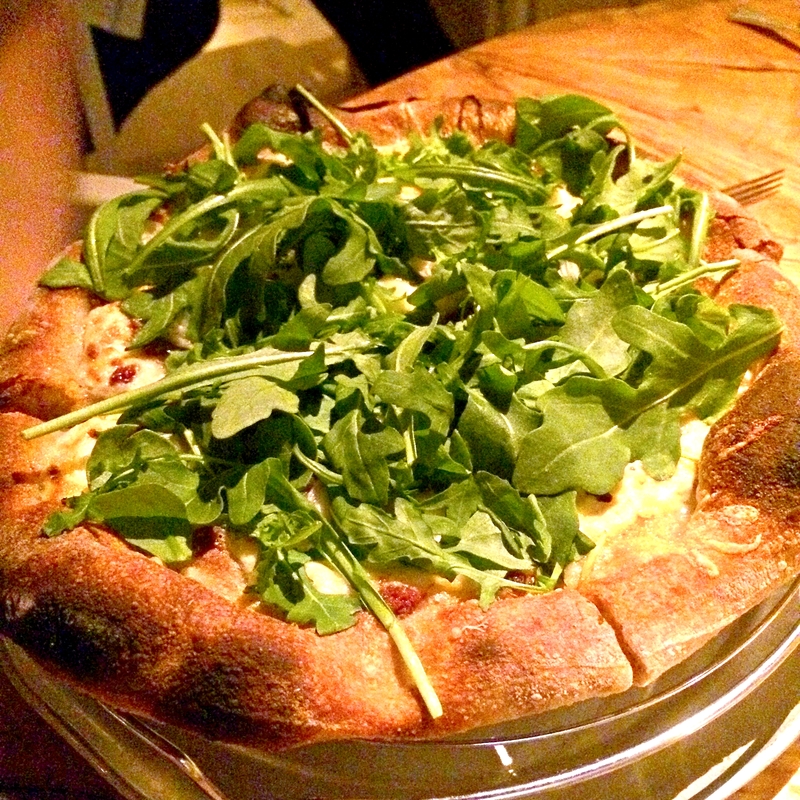 It was a special for the night- a truffle oil drizzled white pizza topped with arugula. It was so rich and savory. And cheesy. Three things I like to demand in as many dishes in my diet as possible! Dat chicken dooooeeeeeeeee. 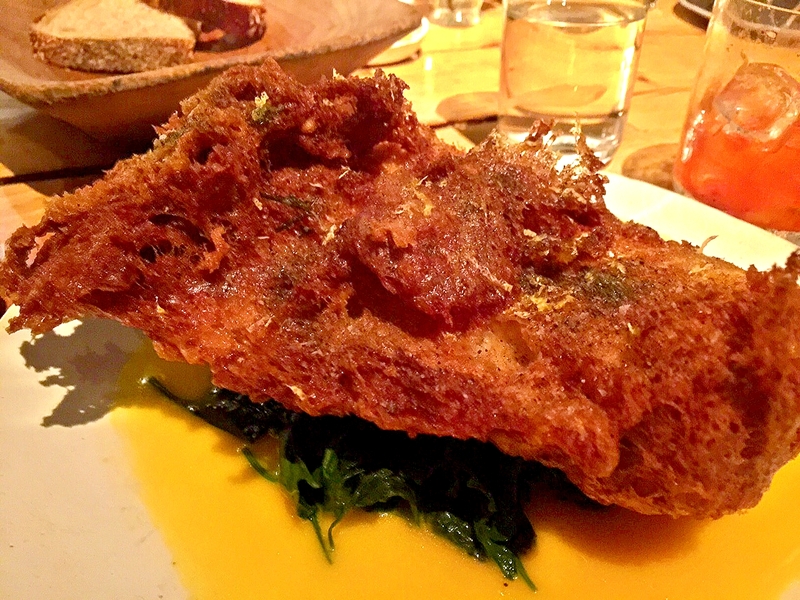 My mom order their fried organic chicken with wild spinach, basil and hot sauce butter. It was the juiciest chicken I have ever tasted!!! The meat was super tender and the outer fried crust was light and crunchy. It was so flavorful! For desserts, we all shared the cookie plate- with chocolate chip, Meyer lemon linzer bar, cornmeal shortbread with citrus curd, oatmeal and cherry sandwich vanilla mallomar. Basically all that’s right in cookie world on one plate. 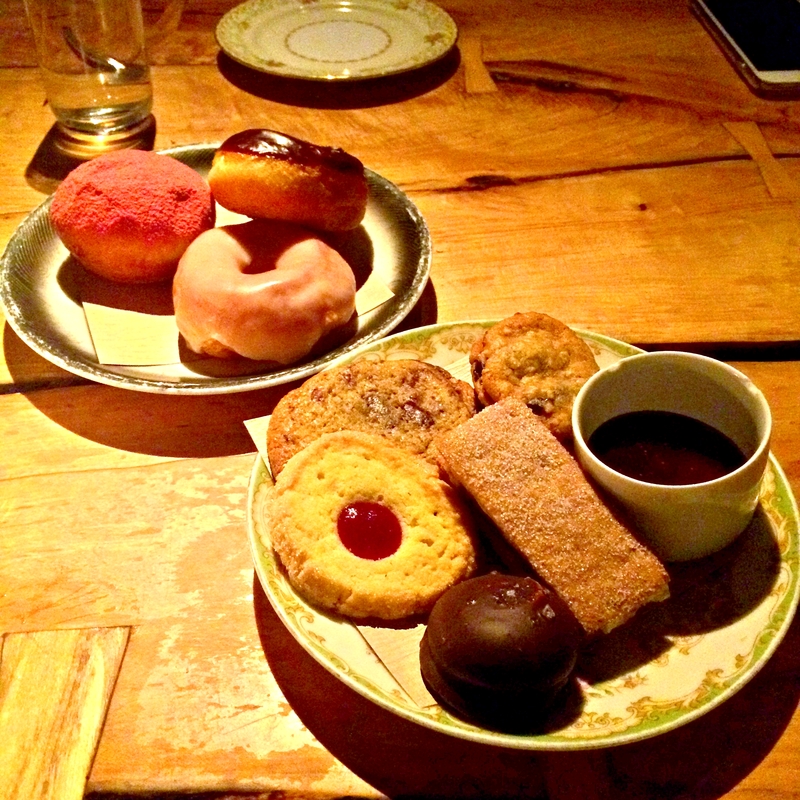 We also split the warm, soft seasonal doughnuts which paired wonderfully with our lattes 🙂 Cookies and doughnuts man. You just can’t go wrong. We wrapped up the night taking a stroll down to the Flatiron building and enjoyed watching the hustle and bustle of NYC in the cute seating area right by Madison Square Park, in front of Flatiron 🙂 It was a perfectly warm night to take in the sites! I had no idea what they were! I loved them too!